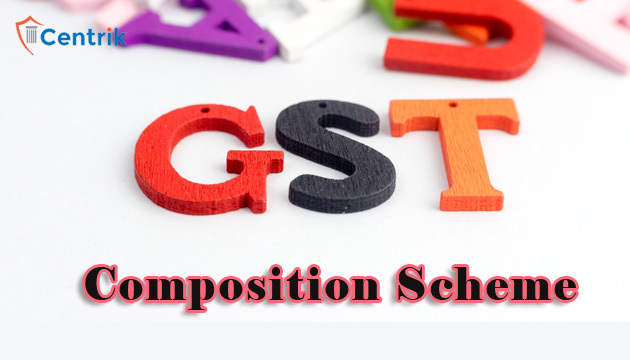 The composition scheme is only available to GST registrants operating within a single state. Therefore, let’s say you have a turnover of Rs. 40 lakh, and are currently paying taxes at a subsidised rate. You then move on to make an interstate sale of Rs. 1,000. As per law, as soon as you make the interstate sale, the composition benefits cease to exist and you are now liable to the standard tax rate. Now, the total amount payable shall be in accordance with Section 66/67, which would require you to pay higher taxes and a penalty may also apply. All traders must, therefore, be wary before making such deals. If you want to avail of the benefits of the GST composition scheme, which means a lower tax rate and lesser compliance, you must first apply for it. Say if you have applied, the process stands as such for the entire year. So, make your choices wisely since you can only do so at the start of the year and deal with the same for the next 365 days. The GST composition scheme does not apply to anyone in the service industry. Anyone registered as a service provider is rendered ineligible for the composition scheme. The limit for the GST composition scheme is Rs. 50 lakh. Anything above that amount is liable to be taxed at the standard rate. For instance, suppose the total supply made during the year comes to around Rs. 48 lakh. You also happen to provide goods, at no cost, to your family to the tune of Rs. 4 lakh. While you may not take into the account the ‘free’ services you provided to your family, your total supply turnover, for the government, stands at Rs. 52 lakh. The amount, as we mentioned above, is liable to be taxed under the standard rate. This leaves you with a few consequences. One of them being that you would be in default for not filing returns properly and be levied with a maximum penalty of Rs. 5,000. Under Goods and Services Tax, there is a concept of reverse charge. The ‘reverse charge’ quashes the rules that existed till now wherein the recipient of goods and services paid a certain amount to the government in some cases, and brings in the new rule of the payment coming from the supplier of goods and services. This makes the person covered under GST composition scheme to be liable to pay taxes at the standard rate, rather than at the discounted composite rate. The standard rate would mean that it adds to the cost of the person paying it since they cannot claim the same as input tax credit. If you avail of GST composition benefits, there can be no availing of input credit.